BOSTON--(BUSINESS WIRE)--The level of interest in adding a premium audio system as an option at vehicle purchase increased from 2017 to 2018 in both the US and Western Europe. In the new 2018 Premium Audio Report from the Strategy Analytics’ In-Vehicle UX (IVX) team, consumers in the US, France, Germany, Italy, and the UK were surveyed in respect to their interest and willingness to pay for an in-vehicle premium audio system. Consumer brand perception for 20 premium audio brands was also considered. While almost half of respondents in the US were willing to pay $1,500 or less for premium audio as an option on their next vehicle purchase, Bose maintained its position as the most-preferred brand for premium audio in all countries. Males still held a stronger preference for premium audio in the US than in Western Europe. But females in the US especially have increased their interest significantly from 2017 to 2018. The percentage of respondents that rated Bose as preferred was at least 10% more than the brand rated in second place, in every country. Pioneer and Bang & Olufsen also held strong positions in the countries evaluated. 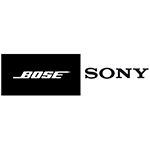 Diane O'Neill, Director UXIP and report author commented, “Bose maintained its dominance in premium audio brand perception, rated as the most-preferred brand in all five countries. In fact, preference for Bose increased in all countries from 2017 to 2018 after slipping from 2016 to 2017. Bose maintained a sizeable advantage in every country, being preferred by at least 10% more respondents than the brand in second place. Added Chris Schreiner, Director, Syndicated Research UXIP: “While Bose maintained its dominance, Sony maintained its position as the most well-known brand in all countries. In fact Bose, Sony and either Pioneer or Bang & Olufsen, were found as the top three most-preferred premium brands in all countries evaluated.